My Sweet Skin is a skin and makeup company that is also the home of one of the most well-known makeup artists in North Carolina. 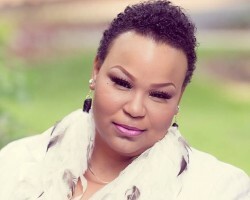 Kenyetta Johnson is highly skilled with years of experience offering makeup for celebrities about to walk a red carpet as well as for brides about to make their way down the aisle. Her passion for creating looks that her clients love is only matched by the talent she has to achieve those perfectly customized looks. When you are interested in hiring Jess The Beauty Boss, the first thing you will experience is a bridal consultation. At this appointment you will discuss the theme of the event, the colors, the dress and your personal style so that the artist can get an idea of how you would like your makeup to look and how it will fit in with the event. According to reviews, this initial meeting always results in the artist being able to provide a flawless look on the actual wedding day without fail. 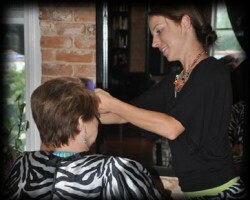 Posh is a hair and makeup boutique that offers everything from everyday styles to special occasion looks. When you hire this salon for your bridal makeup and hair, they will come and accommodate for you and your bridal party too. These Greensboro makeup artists will truly listen to the look that you are trying to achieve and then use their talents and experience to make it happen. You will always love the results of working with such a skilled and professional team. Choosing to have permanent makeup done by the experts so that you look fresh on a daily basis will only enhance your features and your beauty as a bride. This is why so many women choose the services of Samira’s Permanent Cosmetics. This boutique offers everything from eyeliner and lip enhancement that will never fade. One of the best things about coming to this boutique is that they provide the highest quality services at affordable prices so that more women can experience having flawless makeup at all times. When you are looking for the best makeup artist in Greensboro, NC to put together your bridal style, look no further than Julianna Knox. She offers flawless wedding hair and makeup that will make you feel beautiful, confident and more than ready for the celebrations ahead. Julianna and her team can come to your location so that you can get ready in total comfort as well. You can even request to have a rehearsal makeup session with the expert to ensure everything goes perfectly on your big day.